Welcome to the official site of the Kopeyia School Brass Band! We invite you to listen to our music, learn more about us and: to get involved yourself! You can also get recent updates on our facebook site, watch video clips of us playing or support us downloading our Debut Album! 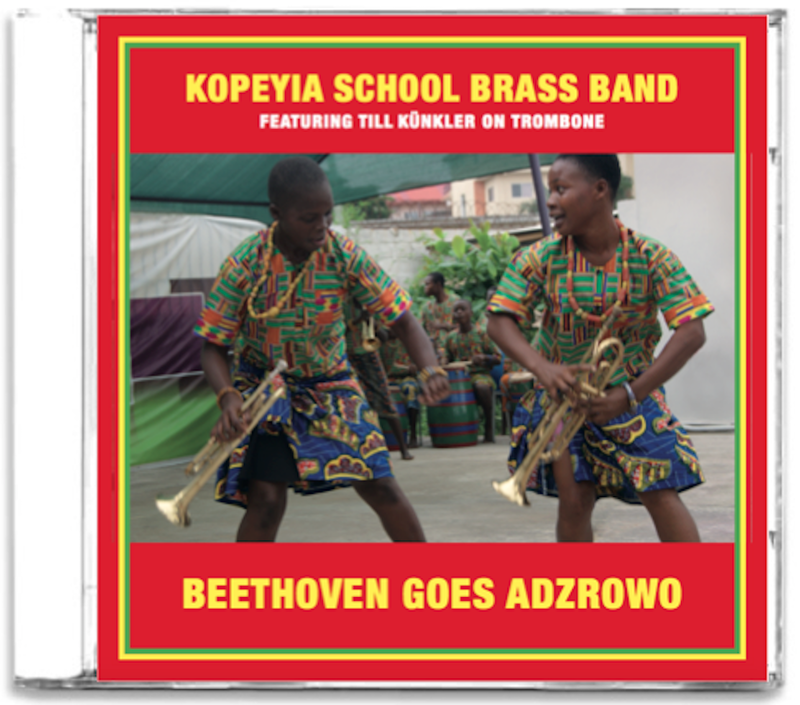 The Kopeyia School Brass Band is about to launch it’s second Album “Beethoven goes Adzrowo”. Stay tuned for the release and how and where to get it! instruments and make music together. The Kopeyia School Brass Band was founded in 2011 as its flagship ensemble featuring the students of the program. Our project, a school program, is facilitated and administered in close collaboration with the Dagbe Center in Kopeyia, an institution specialized in providing high standard education in a broad spectrum of traditional cultural heritage of the Ewe. Initiated in 2010 as a grassroots project with help of “Davis Projects for Peace” by International House in the US, the project sustainees itself through doinations. Music Works recently received support Goethe-Institut Ghana . Our work in teaching and performance is based upon the existing music tradition in the region. Introducing music of different cultures we communicate that cultural identity and” openness are complementary and foster international understanding. Our medium term goals include expanding the capacity of the project to reach out to more students, expanding repertoire and skills, include training in Math and English and developing an exchange with music groups outside Ghana. Music Works! is entirely supported by donations. Currently we need further instruments and materials for classes. Your donation will be used directly for our work on the ground. Simply Contact us.